Since 2014, Philly Wine Week’s mission has been to unite the area’s most passionate wine experts, its best wine bars, restaurants, boutiques, and its talented winemakers, with the goal of spreading knowledge, growing interest and encouraging more people to embrace the convivial spirit of imbibing with wine pros, novices and fans alike. This year marks the sixth year of the event which will be kicking off on Sunday March 31, at XIX at The Bellevue, with their signature event Opening Corks. Wine Week runs April 1-7, for a full list of events and participating restaurants visit PhillyWineWeek.org. 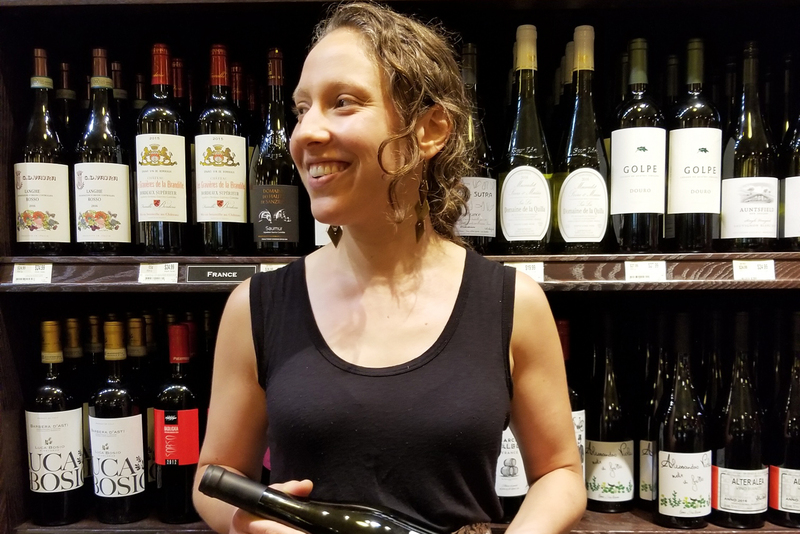 Sande Friedman, is a fifth year board member with Philly Wine Week, she spoke with CityWide about the how the event has evolved over the years. What’s the goal of Philly Wine Week? Philly Wine Week was founded with the intention of promoting the wine culture of Philadelphia, and to simply have fun with wine instead of making it too stodgy or serious. The intention has always been to encourage people to go out and try something new, something funky, something fun that you may not have tasted otherwise. We always encourage participants to think outside of the box and to offer more than just happy hour and dinner pairings. We’ve seen festivals, wine parties, barbecues, the whole shebang, and hopefully it continues to grow and get more interesting every year. Pennsylvania may be a tough state when it comes to wine procurement and pricing, but there are still so many progressive vendors, and so many people in the restaurant and retail wine community who are trying as hard as they can to bring unique and fascinating wines to our consumers. 30 wine flights at happy hour prices during Philly Wine Week at @panoramawinebar. Are. You. Ready? What have been some challenges in producing the event? Like anything, time and money are always difficult. The majority of our board members have full-time positions in the Philadelphia food and beverage community, so we are all doing this as a passion project. A good chunk of our year is donated to procuring sponsorships so that we can keep the maintenance costs as low as possible for restaurant members — in all our years, we have never raised the restaurant participation fee, which is a great source of pride for us. We (the trade association Philly Wine Week) throw a yearly event (read: giant wine party) called Opening Corks to kick off Philly Wine Week each year. We aim to find a new host location every year, which has definitely been an exciting challenge as we grow to a larger and larger event every year. What have been some unexpected (good) surprises that you’ve noticed in the Philly wine community’s participation in this event? I love the participation from unexpected wine spots, like corner bars and more casual establishments. Martha Bar in Kensington and American Sardine Bar in Point Breeze are always some of my favorite participants because they’re generally known as great beer bars, but also do their part to make wine as fun and casual as possible. Both @triaphilly locations and @triataproom will be lining up the good stuff this year for Philly Wine Week. It’s gonna be juicy🍇. How has the event grown since it first launched? Philly Wine Week as a whole grows in participating restaurants and media attention every year. Our Opening Corks event grows each year in terms of how we scale it up to have more attendees — the more people at the party, the better! What’s great about being a wine lover in Philly? What could be better? The food scene in Philadelphia is already fantastic, and wine has always been meant to complement food, so it’s naturally a great place to drink wine if you’re imbibing at an establishment that puts thought and care into curating their lists. The dark cloud on wine in Philly is definitely our issues with being state-controlled and how that affects end pricing to the consumer … Philly can be a more expensive place to buy and drink wine than other cities, and due to the Pennsylvania Liquor Control Board being a factor, not everyone wants to sell wine here, but that’s a whole tangent of its own. There are many of us doing as much as we can to still be able to sell and serve you great wines at the best prices that we can feasibly do. What do you hope that this week of events helps guests understand about wine? Wine is great, it’s unique, it’s different every year, and you should continually try new wines and retry ones that you’ve loved in years past. Don’t stay attached to the same bottles just because you know the labels or the name of the grape. Go talk to the staff at your favorite bars and specialty retail shops and let us help you find something new and fascinating. Wind be damned, flights are always lifting off at @jetwinebar. Check out their interesting Philly Wine Week events already lined up on our website. Philly Wine Week tickets are now on sale. Opening Corks general admission tickets are $65 and a limited amount of VIP tickets will be available at $125. VIP guests will be invited to enter at 5 p.m. for an extra hour to enjoy the tasting, as well as an exclusive sparkling wine bar, raw bar, deluxe passed hors d’oeuvres from Walnut Street Café and XIX, and delectable bites prepared by guest chefs in a semi-private lounge.